With such a large variety of investment products, solutions and opportunities available, it can be confusing trying to decide the best route. 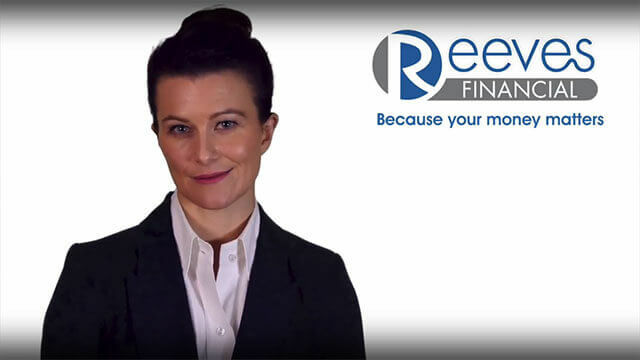 At Reeves Financial we treat each client individually, looking at your current financial circumstances as well as your future needs and plans so that we can provide advice and strategy on the right investments for you. We take tax efficiency very seriously, examining both immediate and future taxation to ensure you are making the right decision. We recognise that investment management is not only about good performance but just as critically, about low charges. Capital needs efficient management, to avoid tax problems, and provide security for families and estates, both now and in the future. We will ensure that the products we recommend to you are the most appropriate for your individual circumstances. Investments – The value of units can fall as well as rise, and you may not get back all your original investment. Trusts advice is not regulated by the Financial Conduct Authority. If you would like to know more about our Investments and Savings planning and options, please fill in our simple contact form below and we will get back to you as soon as possible.